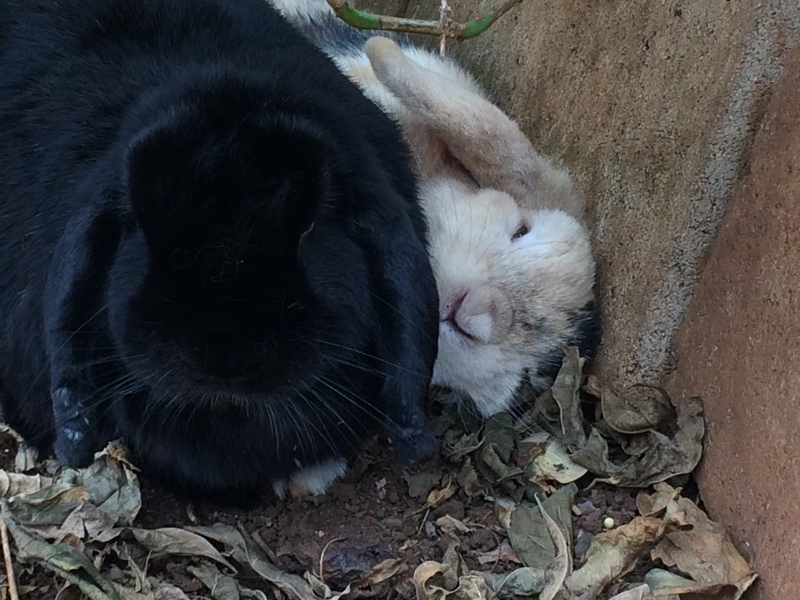 Mopsie and Flopsie take a break after being pursued by the paparazzi this past Memorial Day. Photo taken by Pascal, a visitor and bearer of raisins. 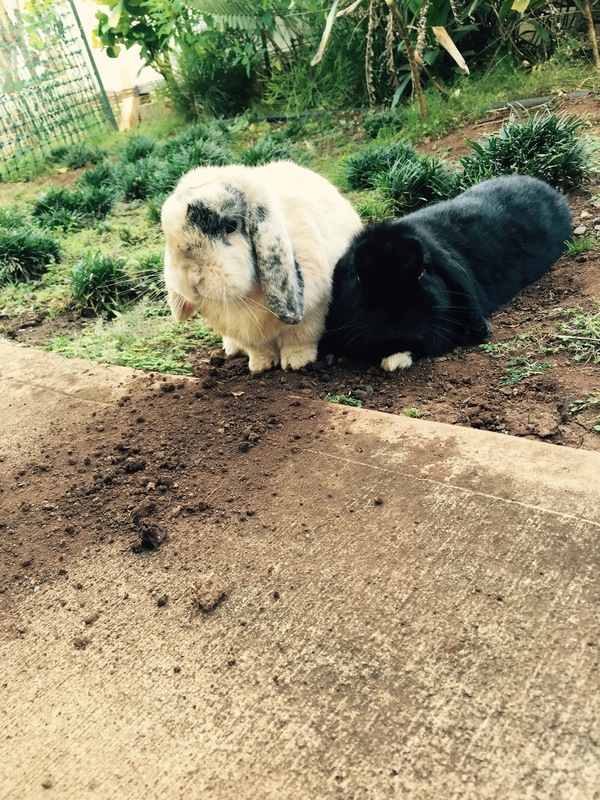 Flopsie and Mopsie are at a loss to explain WHO dug up the dirt in order to make a cooler resting place.